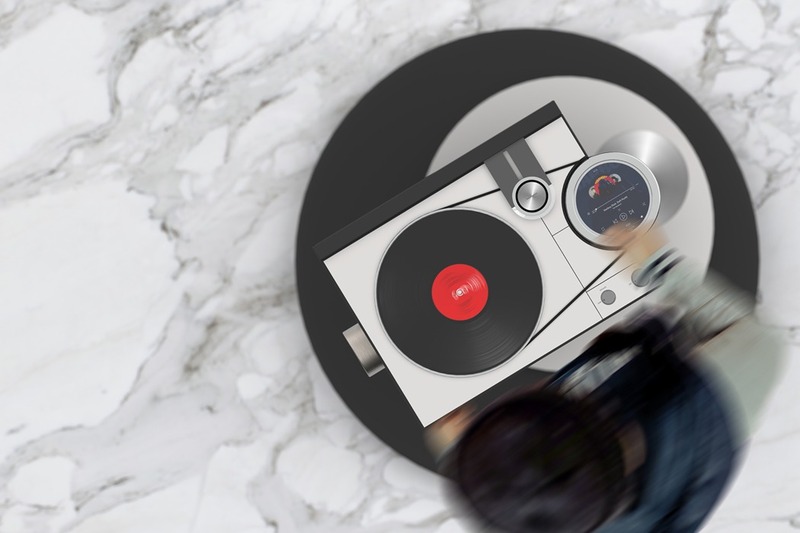 Vinyl Records have been given a new lease of life in recent years, with the market steadily growing again since the rapid decline in the early-mid 2000s. 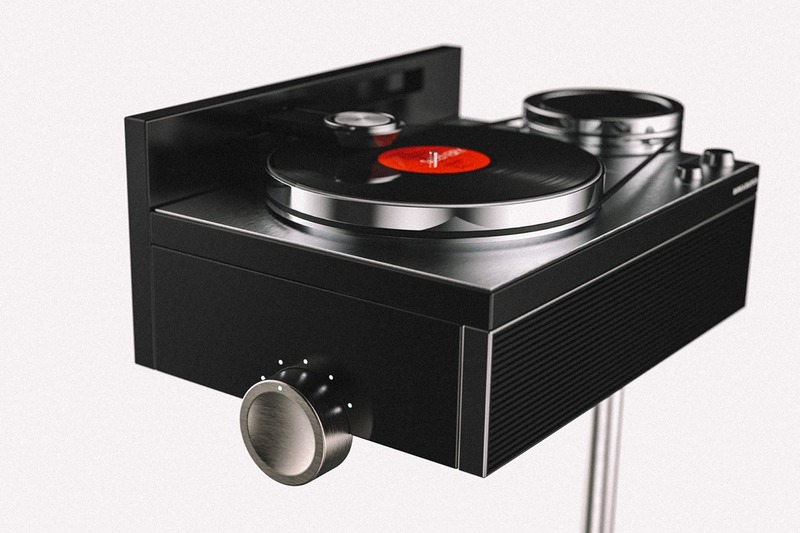 This has seen a fresh influx of record players that are finding themselves being introduced into our homes. 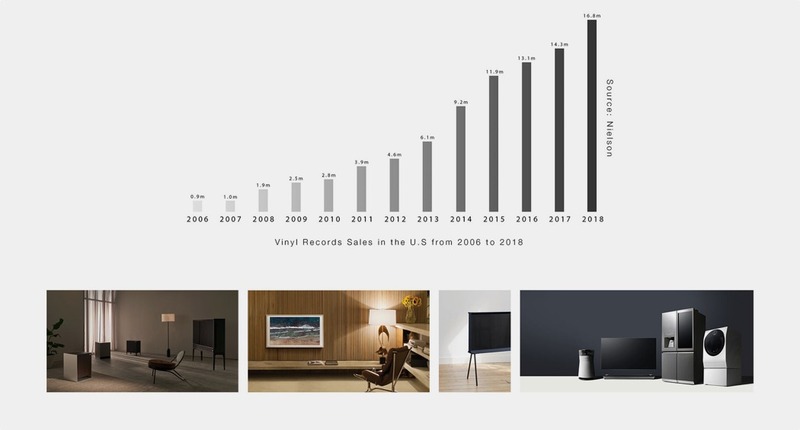 However, a lot has changed in the audio-world within the last two decades, and so we now expect much more from our Hi-Fi systems. 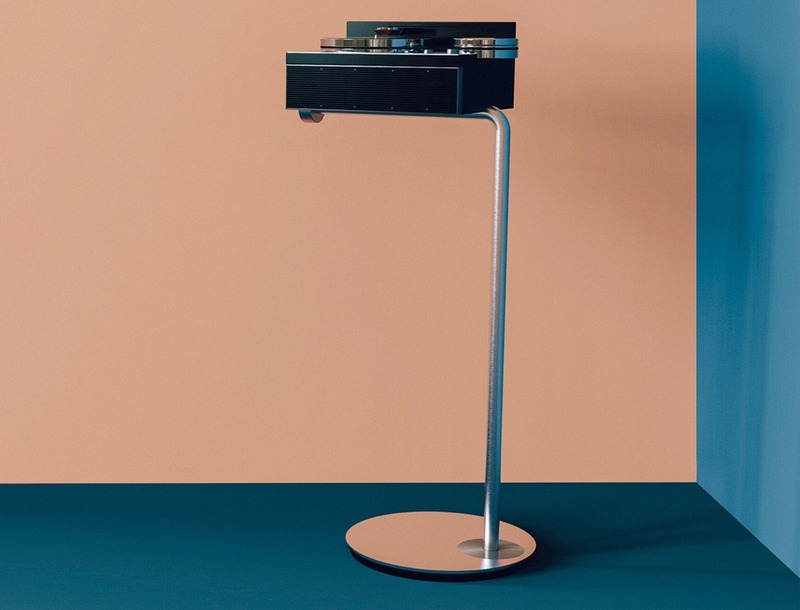 The concept design, BEOFUSION, is intended to cater to all of your audio needs; the elevated Hi-Fi system becomes a statement piece within the room, with Bang and Olufsen inspired design and impeccable attention to detail, which was the inspiration for the aesthetics, allowing the system to harmonize with the interior of the home. 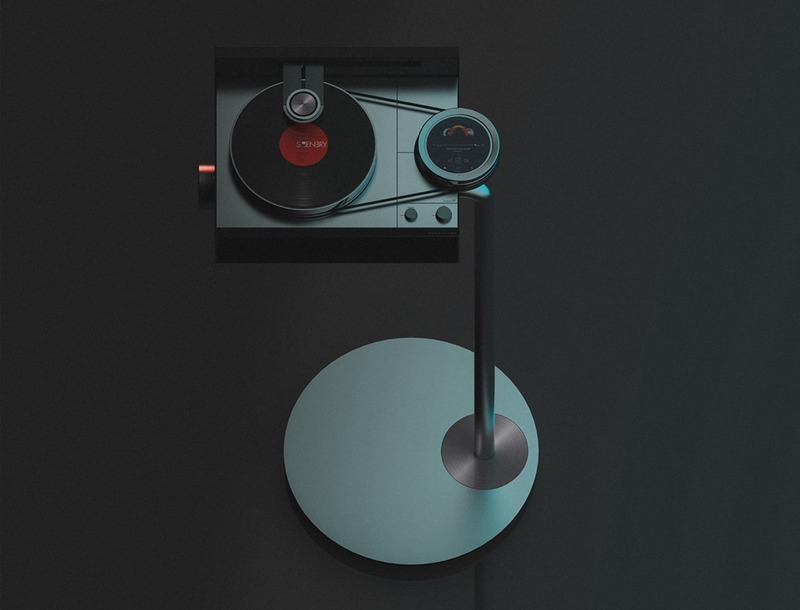 In addition to the record player, BEOFUSION features ‘limitless connectivity’, allowing for music to be streamed wirelessly from your mobile device! 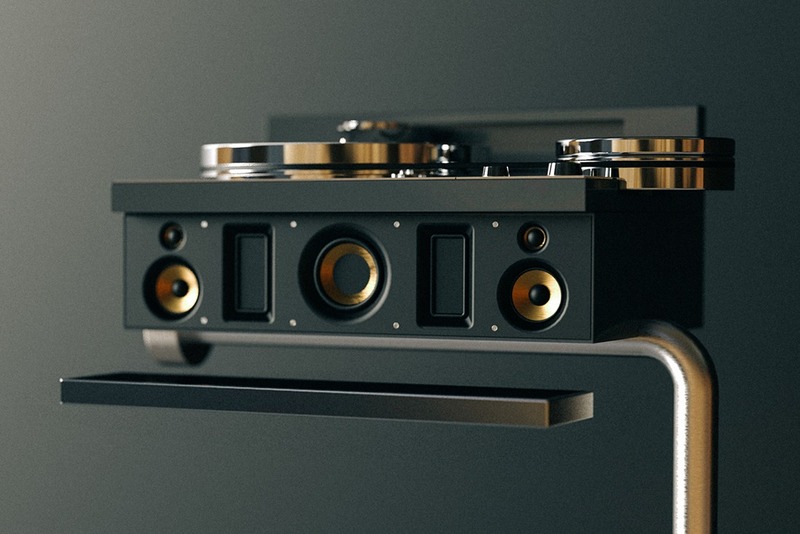 Could this be the audio-solution that replaces our current systems? 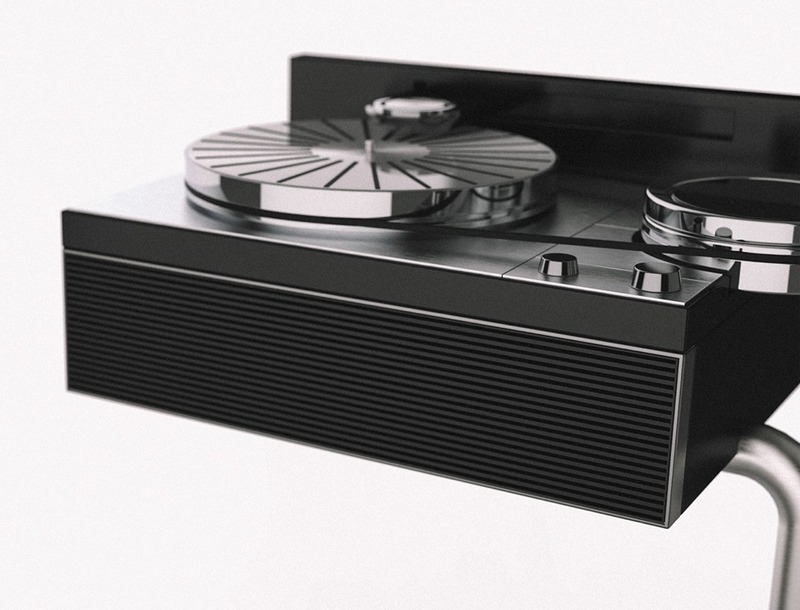 The unique and minimal design suggests a new paradigm of HiFi listening experience to many audiophiles. 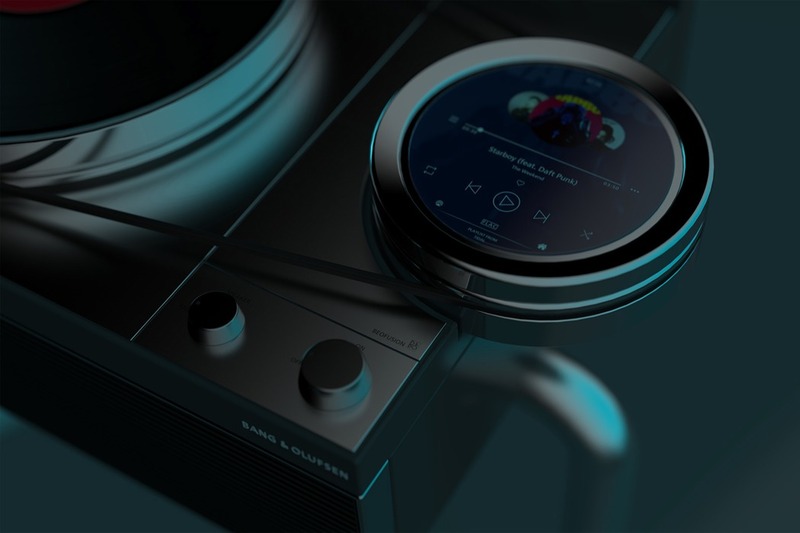 BEOFUSION allows you to connect to your favorite devices via Airplay, Bluetooth or any other streaming services over the Vinyl play. 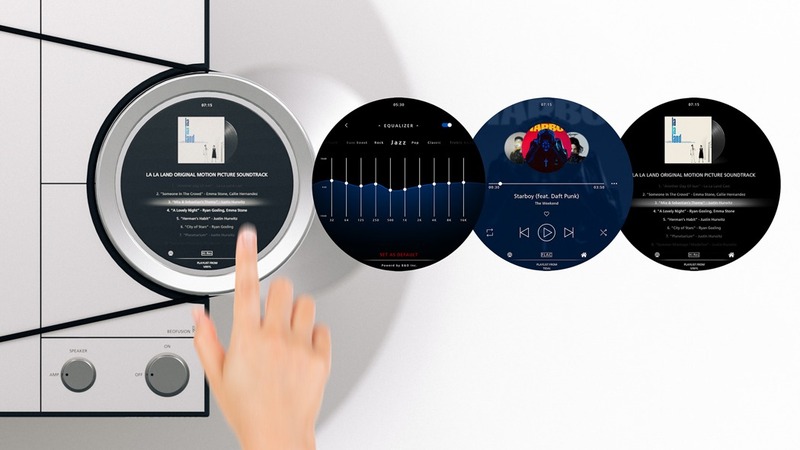 The touch screen provides a more intuitive approach to the customer. 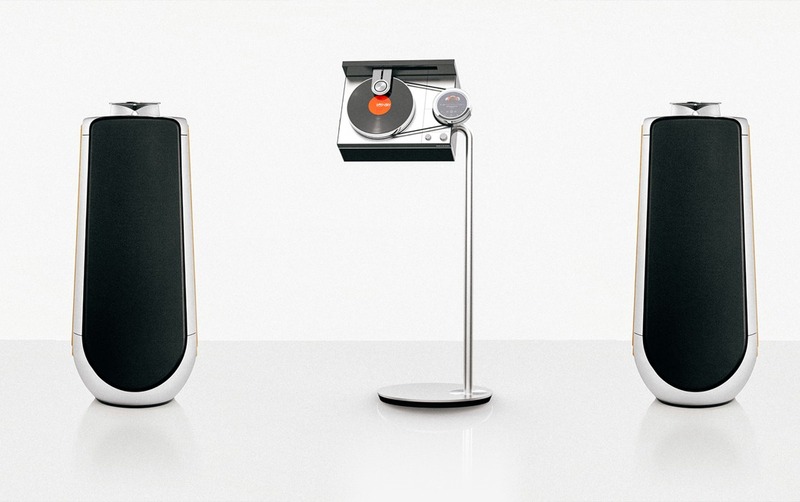 BEOFUSION comes with seven speakers and each unit has a dedicated amp. 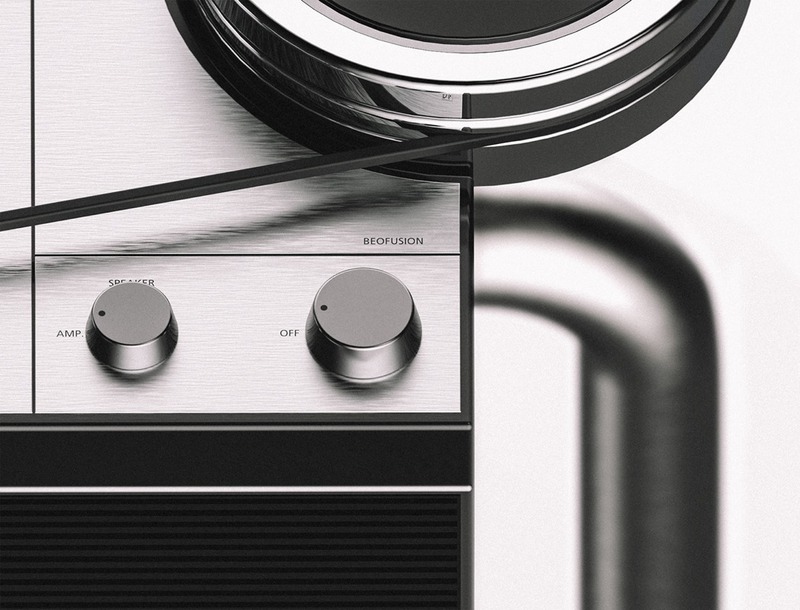 Together they deliver crystal clear sound, from the ​lowest bass to mid and high, in pure high-resolution​ audio. 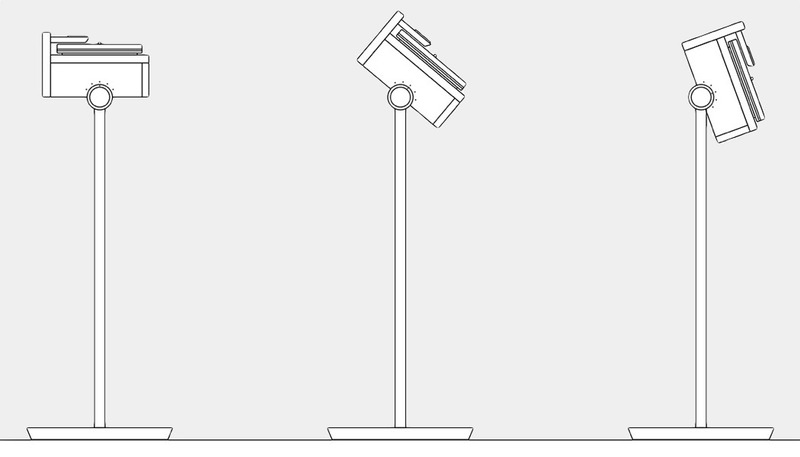 Using knob at the left side, body can be rotated up to 90’ degree when you switch to amplifier mode. 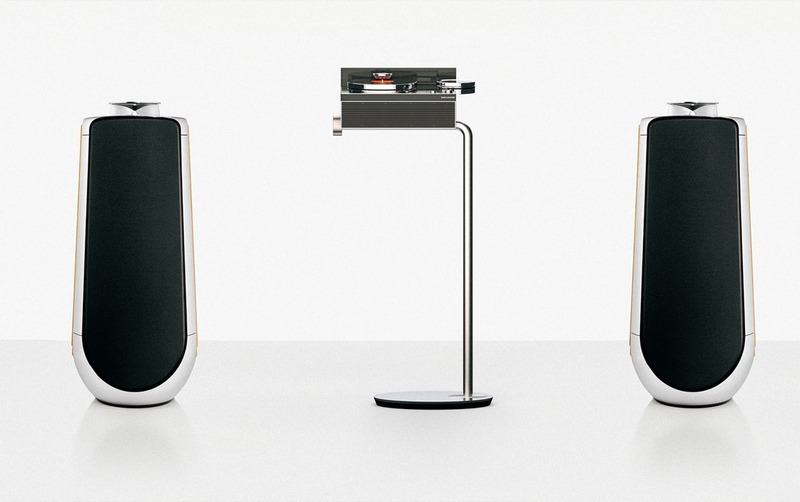 At the Amplifier mode, BEOFUSION doesn’t use own speaker and can connect with other speakers​ wirelessly as an amplifier and vinyl player itself.